Venus will make a rare transit across the face of the Sun on June 5/6, 2012 and for this historic event, Universe Today will be coordinating unprecedented live coverage. Starting at 20:00 UTC (2:00 p.m. PDT, 5 pm EDT) on Tuesday, June 5, a live 8-hour webcast will provide views from around the world using multiple telescopes along with commentary from astronomers, space scientists and other special guests. Viewers will also have the chance to interact and ask questions about this uncommon event to learn more about its significance in aiding our understanding of the Solar System. Universe Today’s Fraser Cain will be teaming up with astronomers Dr. Pamela Gay, Dr. Phil Plait (the Bad Astronomer) and many more special celebrity guests. During this 8-hour marathon, they will provide information on how you can safely observe this event for yourself, as well as sharing telescope views from around the world (New Zealand, Canada, California, Nevada, Arizona, North Carolina, and more). These experts will be discussing why these transits are so rare, how they’ve been used to explore the Solar System, and what astronomers can learn from this event. The transit will be broadcast as a live Google+ Hangout on Air, and on YouTube live. It will also be embeddable on any website that wants to share live coverage of the transit. We’ll also be showcasing photographs and other coverage from the public, astronomers and even space telescopes. To participate, share your views or ask questions, go to the coordinating page on Universe Today, UniverseToday.com/transit. You can also view it on the Virtual Star party Google+ page, or on Universe Today’s YouTube live feed. 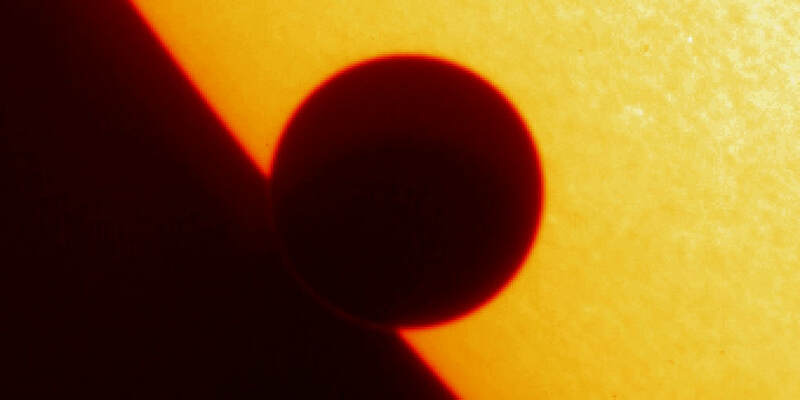 A transit like this occurs when Venus passes directly between Earth and the Sun. Viewers will see Venus as a small dot gliding slowly across a portion of the Sun. Historically, viewed by Captain James Cook and other famous astronomers from days gone by, this rare alignment is how we originally measured the size of our solar system. There have been 53 transits since 2000 B.C. but only six transits of Venus have been observed since the invention of the telescope more than 400 years ago. There were no transits of Venus from 1882 to 2004, and the next one won’t take place until 2117. The last time the event occurred was on June 8, 2004, and was viewed by millions worldwide. This year, observers on six continents and a small portion of Antarctica will be in position to see at least part of it. But no matter where you live or what sky conditions are in your area, you can watch live with this special coverage! Clear skies all week, and now we have storm clouds coming in! Personally, just because something doesn’t happen for every 200 years or so, I don’t think it makes it any more interesting especially considering we can’t look at it with out own eyes. You can see it with your own (protected eyes). If you have a cheap pair of binoculars, you can project it onto a white piece of paper and you’ll absolutely be able to see it. But I think it’s also important to appreciate the pure history of this. Astronomers had no idea how big the Solar System was, how big the Sun is, how far away the Sun is, until they saw a transit of Venus. There have only been 6 since the telescope was invented, and you’re here to enjoy it, right now. Will I Get t o see this in the uk? The creation is cool to marvel at. The Creator is Awesome!! Every 200 yrs. that’s nothing in comparison to time itself- ‘The significance’ is that you are now taking time to worship the sun, when you should be knowing the Son and his love towards us. Hello there, i´m in Brazil and won´tbe able to see it, BUT can you tell me if someone will be showing in the net live???? please? and off course if “yes” what´s the address? Thanks! WE will be showing it on the net live, so watch at the links above. I like how these transits have helped astronomers understand the size and relationships of the different bodies in our solar system. A transit party sounds like fun with the added benefit of being educational. Just do your observing safely! I am in upstate NY and it’s going to be clouded out, so thanks for the site. I just finished reading the book about the 1761-9 Transits by Mark Anderson: The Day the Earth Discovered the Sun. I strongly recommend it to all. It describes the gargantuan undertakings that the world made to verify the prediction of the Transits made by Edmund Halley decades before and try to use it to determine the earth’s distance from the sun. From my reading the book, I noticed that Anderson mentions that within a few days of the 1761 and 1769 transits there had been solar eclipses, and we just had an annular eclipse at the last new moon (the corresponding partial lunar eclipse just took place). Could there be some sort of resonance between the eclipse cycles (Saros) and the alignments that have to occur for the transits? On the Wikipedia entry for solar eclipse, the coincidence of solar eclipse and transit is mentioned (the next time will be in April of 15232. I was thinking of asking someone like the eclipse expert, Dr. Fred Espenak about this. Anyone else know (or care) about this? well, UTC and EDT are only 4 hrs apart, so how can 5 pm EDT equal 20:00 UTC? Good Morning.. thanks for the cam. been great watching.. Michelle Melbourne. i can´t see this special event in Panamá. the weather is cloudy!!! buaahh!!! Will i be able to see venus from ireland ? Next PostNext Are Rogue Black Holes Wandering the Universe?